Formed in 2011, Seattle based Lo’ There Do I See My Brother released their debut album ‘With Eyes Open, We Fall On Our Swords’ in 2012, and now the band have released their much anticipated second album ‘Northern Shore’. With a progressive style as well as influences taken from the iconic Seattle Sound, Lo’ There Do I See My Brother have produced an album which is an expansive, melodic and heavy take on the alternative grunge sound, that was such an influential part of their musical upbringing. The new album features ‘You Can’t Take It With You’ and ‘Twenty Three’ and all the tracks have a rich sound of heavy guitars over melodic harmonies, as well as the lush instrumental tracks such as ‘Here I Stand’, ‘We’re Not Building Pianos, We’re Making Machines’ and the final track ‘There Is Life In Death’. ‘Northern Shore’ is an album full of powerful tracks that can be heard through the entire record, with a delicious blend of musical arrangements and insightful lyrics. The album has also been released on limited edition vinyl where just 100 copies will be available. 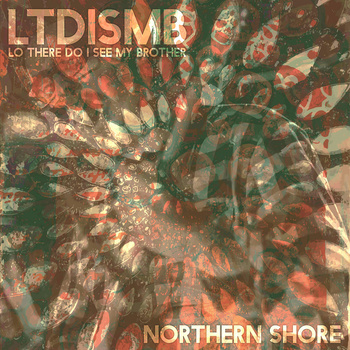 You can order the album from the Lo’ There Do I See My Brother bandcamp page.